A short post today, as I must prepare for a very busy day tomorrow at the Shreveport, Louisiana Book Festival called, “Author! Author! Shreveport Celebration of the Written Word.” I’ll be speaking in the morning and part of a panel in the afternoon. 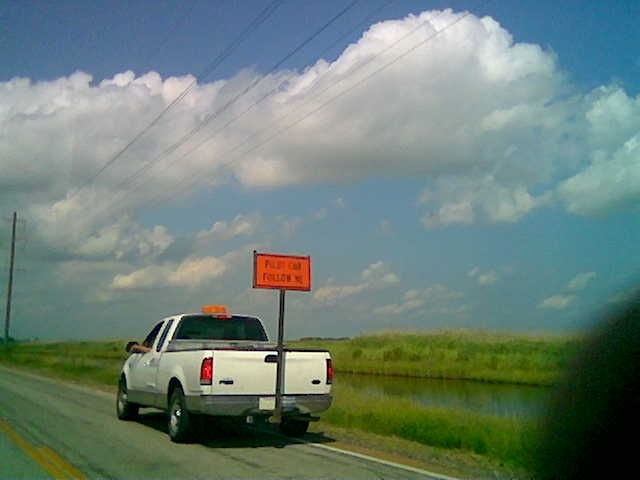 I returned from Cameron Parish late last night and crashed. This morning, I faced the usual trip-return ritual of unloading my Toyota RAV, attending to book business neglected during my week of travel, and to home chores like mowing the yard, going to the bank, laundry, etc. 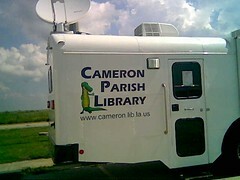 Here is a photo of the large trailer used as a library at Johnson Bayou My program was actually in the Johnson Bayou Baptist Church. I’ll have a photo of me and the pastor posted later, as well as information about the history of some of these communities in Cameron Parish.